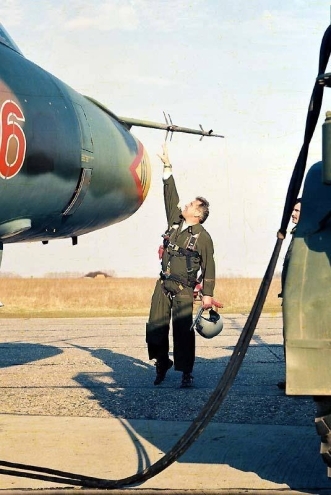 After the Hungarian Revolution of 1956, Hungary could not use attack and bomber aircraft. 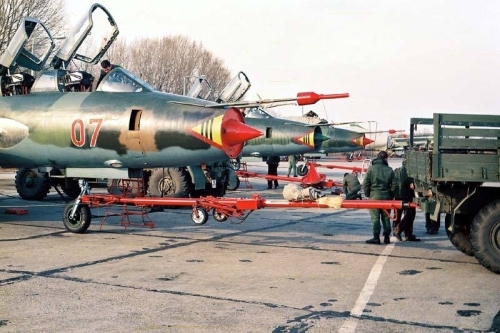 After the revolution, the Hungarian People's Republic received the first attacker and reconnaissance aircraft in 1983. 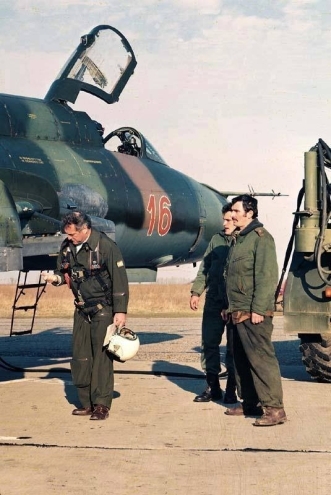 The Soviet An-12 Cub containers delivered 15 pcs Su-22's to Taszár Air Base between November 17 and December 13. 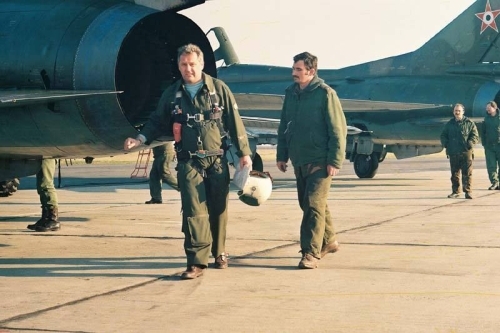 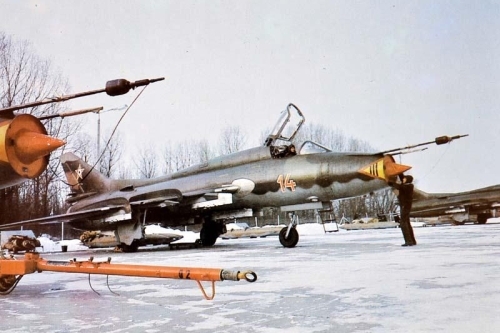 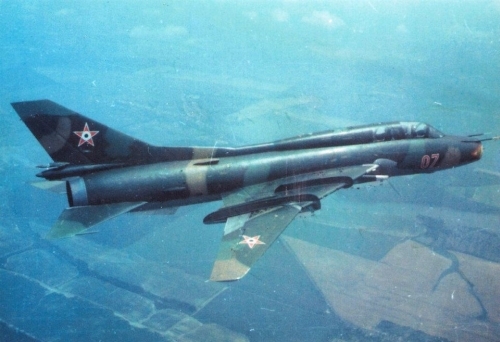 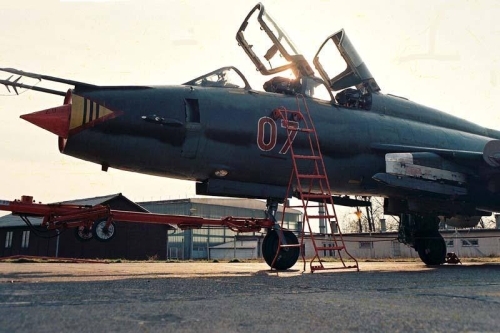 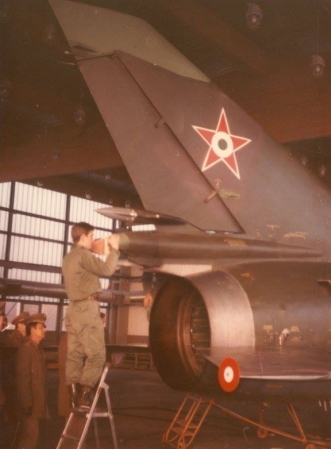 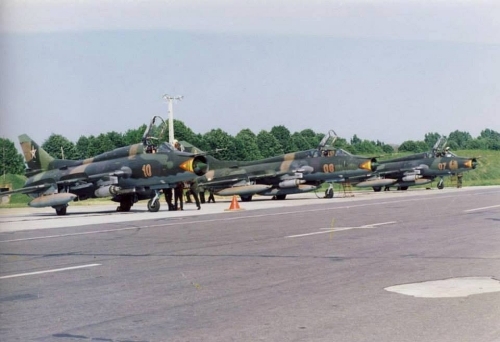 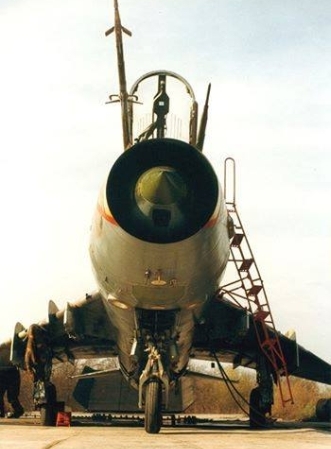 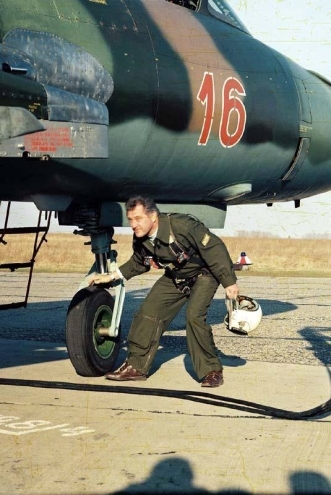 The Hungarian crews received training in 1983 at the Krasnodar college for the Su-22 Fitter. 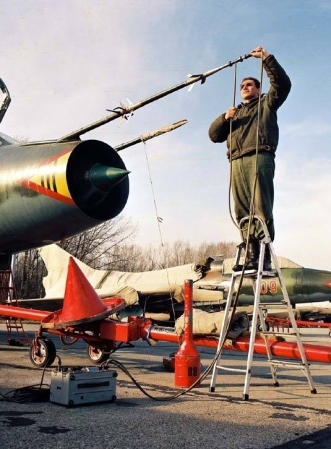 The Hungarian 101th Reconnaissance Air Squadron was formed on March 1, 1984. 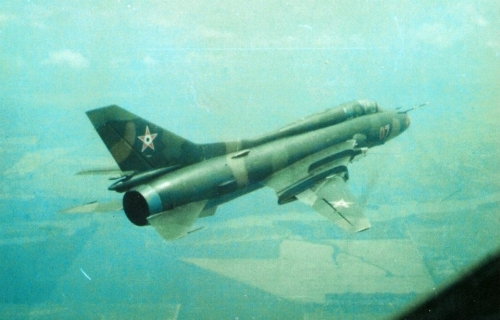 The first Su-22UM3 Fitter-G took off on March 21, 1984. 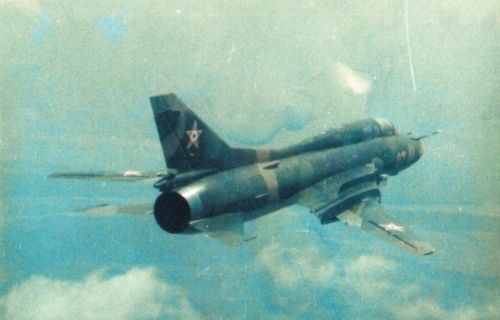 The squadron became operational at daytime on June 8 days.